Police were called to a school in Burgess Hill last night after reports of a break-in. Officers, a dog unit, along with a police helicopter, were called to the special school in Chanctonbury Road after 10.30pm. 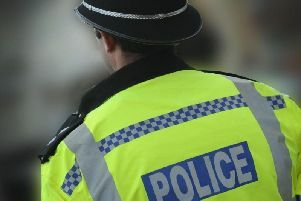 A spokesman for Sussex Police said: “Police were called to Woodlands Meed School in Chanctonbury Road, Burgess Hill, at 10.35pm on Thursday (August 23), following reports of four people breaking into the building. “Officers and a dog unit attended the scene and they, along with the police helicopter, conducted a search but the suspects were not found. “Officers have liaised with the school and it is unknown at this stage if anything was stolen.